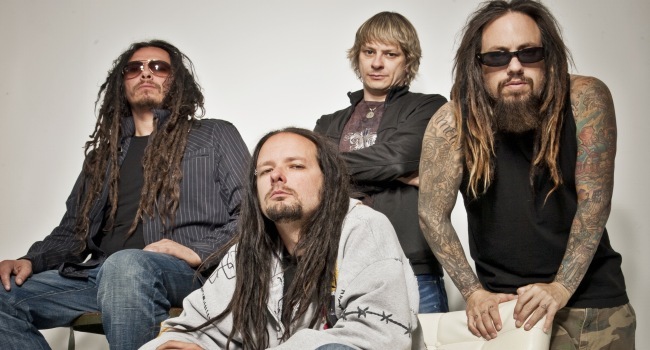 The tenth studio album by Korn, due for a December release, sees the band charting the sonic territory of dubstep. ‘The Path Of Totality’ features collaborations with Skrillex (who has appeared on stage with the band during performances this summer), Excision, Datsik, Noisia, Kill the Noise and 12th Planet. ‘The Path Of Totality’, released on December 5 through Roadrunner Records, is an eleven-track set, with confirmed song titles including ‘Narcissistic Cannibal’, ‘Burn The Obedient’, ‘Illuminati’, ‘Kill Mercy Within’ and ‘Chaos Lives In Everything’. It will be available in regular and special editions, the latter including bonus tracks and a DVD, ‘The Encounter’, capturing the band’s 2010 concert performed in a 900ft crop circle in a Californian cornfield. We’ll bring you more information on Korn’s ‘The Path Of Totality’ in the run-up to its release when we get it.